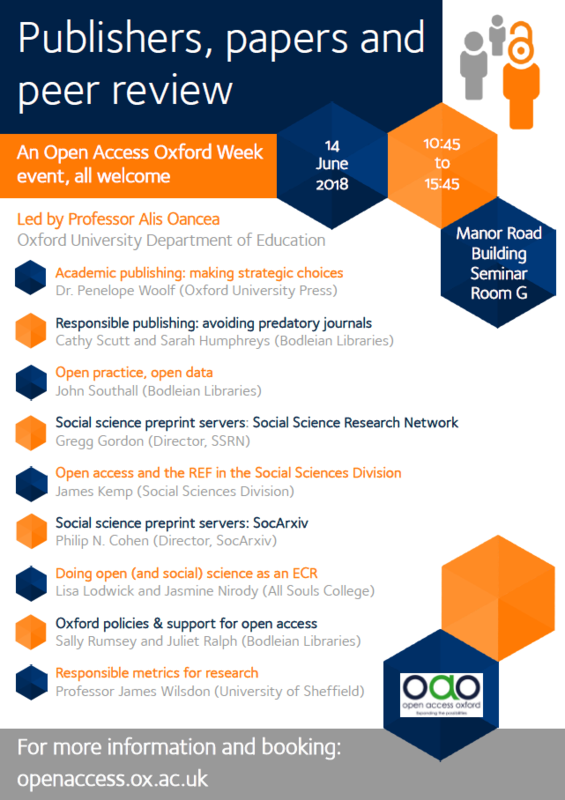 The SSL supports these Open Access Oxford Week events. 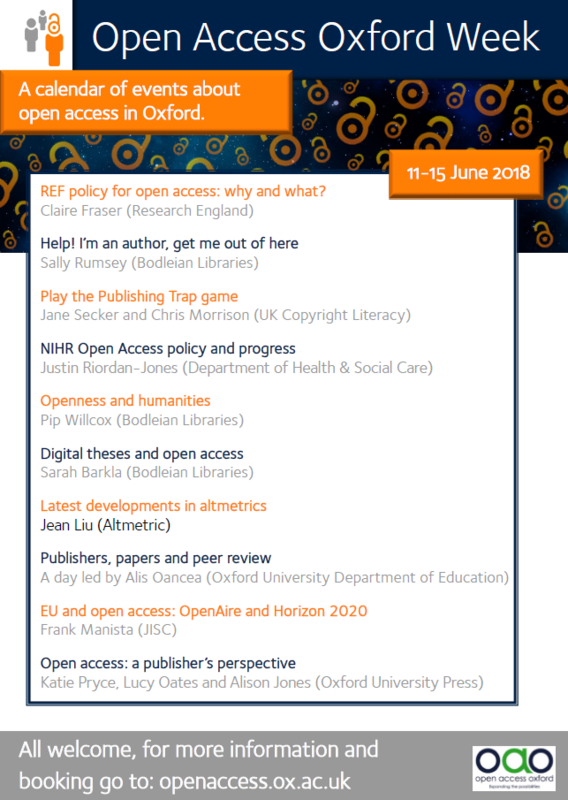 Open Access Oxford Week (11-15 June), will round off the summer term with daily events across the university. It will be a chance to discuss developments in research dissemination and scholarly communication, policy and practice, all in the context of open access. There will be a mix of local and visiting speakers, including representatives from Research England, the National Institute for Health Research, JISC, Altmetric and the creators of ‘author copyright’ game The Publishing Trap. There will also be a social science-focused day (but of interest to all disciplines) on 14 June entitled ‘Publishers, papers and peer review’, led by Professor Alis Oancea (Oxford University Department of Education) and exploring publication strategies, predatory journals, open practice and data, social science repositories, responsible research metrics, and OA policies. Speakers include leaders from academia, publishing, and preprint servers SocArxiv and SSRN. Further information on the sessions and how to book can be found here. This entry was posted in Open Access, Open Access Oxford Week by dawnyoung. Bookmark the permalink.